As we view the world today, unfortunately much of the infrastructure in place across key cities is ill equipped to handle the growing needs of a modern and connected society. 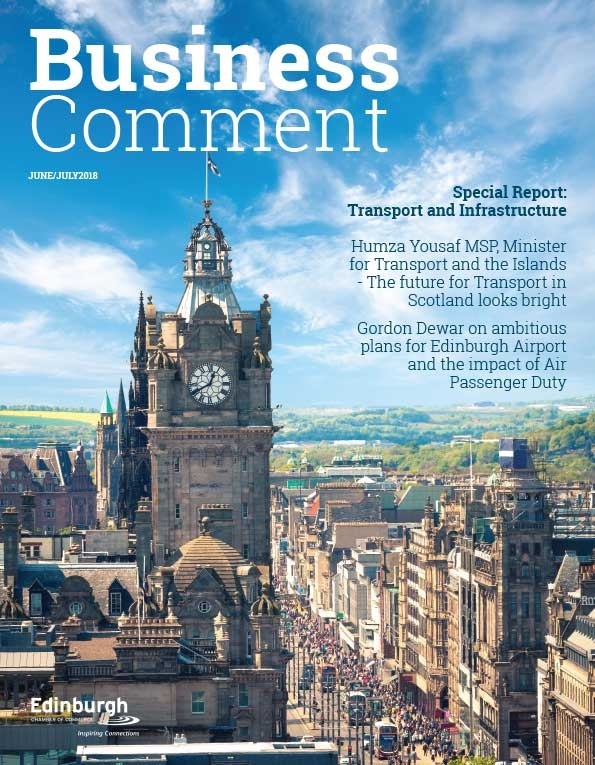 Scotland is no exception, and we must continue to develop our infrastructure way beyond the current focus of improved connectivity, with the ultimate goal of developing an “intelligent” city where the usage of data moves from understanding what has happened to using the collection of data gathered to change the future. Within our Capital City, we have many exciting developments and the potential for Edinburgh to be a leading gigabyte city. This is being supported with the investment plans for 150 kilometres of ultra-fast pure fibre network. We need to future proof our capital city as the thirst for greater bandwidth continues to grow exponentially. This includes exploring and testing next generation opportunities as demonstrated by the success of our Li Fi centre at the University of Edinburgh where engineers are developing visible light communication to provide more channels of communication. Across Scotland, our public and private sector organisations have many initiatives and exciting future developments. There is however the need sometimes for more coordination, consolidation and sharing of best practice. 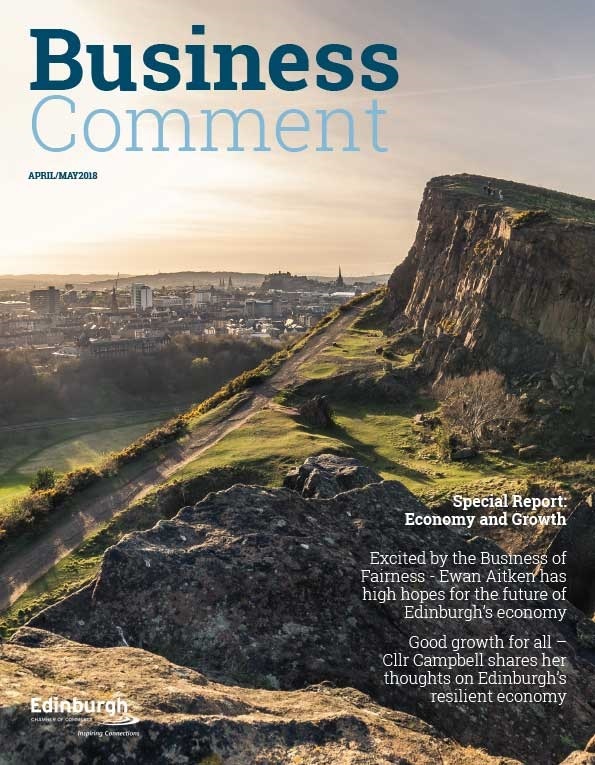 To address theses concerns and in collaboration with others, the Edinburgh Chamber of Commerce is launching an Inspiring Technology group where members across all business sectors will share insight and lessons learnt on what can sometimes be a time consuming, expensive and complex area of business development. This access to clearer guidance is particularly key to the future growth of the SME sector, where more than 80% have highlighted that adequate communication services are fundamental to their business and over 90% are active internet users. Consumers across the UK are the biggest online shoppers in Europe and not only does this impact future business models but the impact on high streets and the wider built environment. Our local development plans and regulations need to be continually reviewed to reflect what will be a fundamental shift in the way we go about our daily lives, the way we work and the way we socialise. 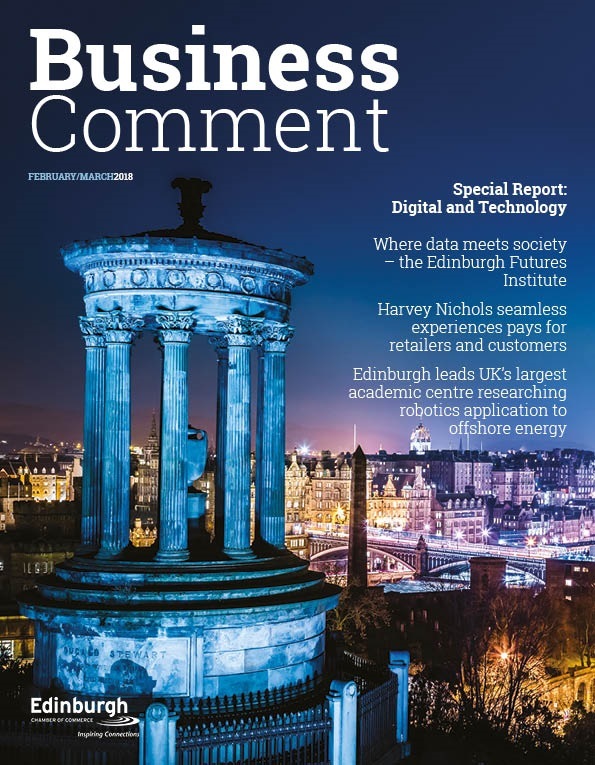 Edinburgh is famous for leading and embracing change and the developments in technology and data usage will be no exception. Our strength and depth of talent, our international reach and alliances across business, education and culture provide great opportunities. We have the ambition and with greater collaboration we have every chance of being a leading “intelligent city” in the future.